DOWNLOAD AND RECEIVE A SPECIAL OFFER! 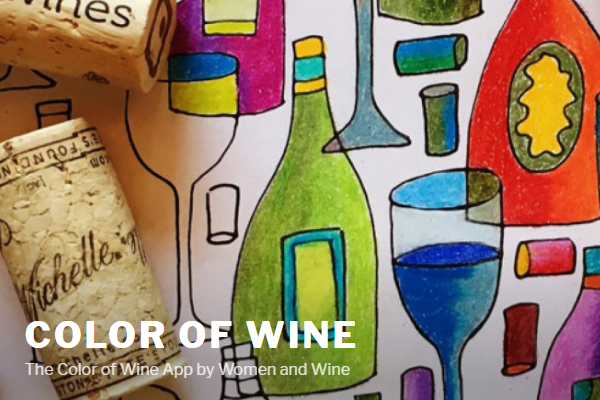 We are happy to GIFT you the new mobile coloring app COLOR OF WINE – with a special EBERLE page for you to color and share! Sip on your favorite Eberle wine while you tap-to-color on your phone. Enjoy it at home, your local wine bar, in check-out line, waiting for your kids, the salon, gym…anywhere. When you register with Facebook, you can save your work, and share it with us and friends on Facebook, Twitter, Instagram using the hashtags #eberlewinery and #colorofwine. Come visit us at the winery and show us your finished Eberle coloring and your Reserve Tasting is on us (Value $25)! Promotion is valid January 16th through February 28th (Fridays, Saturdays and Sundays only). Must be 21 and over to participate. PLUS A CONTEST FOR CLUB MEMBERS! Post your finished Eberle coloring on Facebook, Instagram or Twitter with the hashtags: #eberlewinery and #colorofwine to be entered to win two tickets to our Zinfandel Festival Dinner on March 16th, 2018 (Valued at $240)! Promotion is valid January 16th through February 28th. Must be 21 and over to participate. 4. Save your work to edit and when you’re happy with your creation, share it on social media. 5. Your saved jpeg will be in the Photos app on your phone, ready whenever you need inspiration. Eberle wine lovers are the most loyal (and happiest) wine lovers we know – it’s our pleasure to share the joy with you!